Washington, Feb 22: Describing the current situation between India and Pakistan as 'very, very bad', United States President Donald Trump on Friday said his administration was in contact with both sides and hoped hostilities would soon end in the Valley. "Right now between Pakistan and India, there is a very, very bad situation. A very dangerous situation. We would like to see it (hostilities) stop. A lot of people were just killed. "We want to see it just stop. We are very much involved in that (process)," Trump told reporters at the Oval Office. 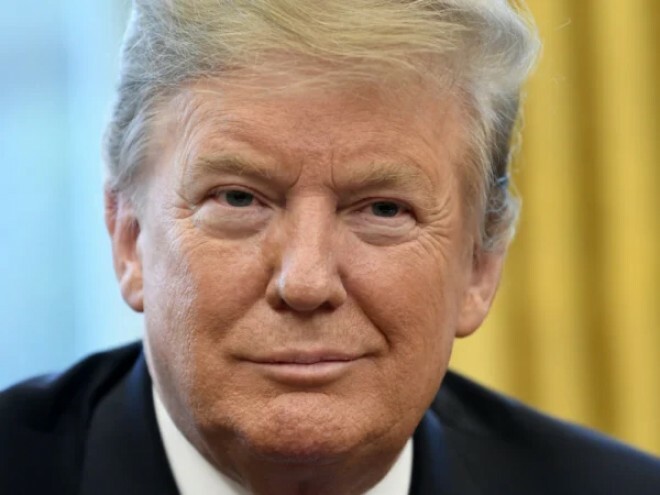 The US president was responding to questions on last week's terrorist attack in Pulwama district of Jammu and Kashmir in which 41 Central Reserve Police Force personnel were killed. Pakistan-based terror outfit Jaish-e-Mohammad (JeM) has claimed responsibility for the attack. "I stopped paying Pakistan the $1.3-billion that we used to pay them. In the meantime, we may set up some meetings with Pakistan. Pakistan was taking very strong advantage of the United States under other presidents. "We were paying Pakistan $1.3 billion a year. I ended that payment because they were not helping us in the way they should have," Trump said. He said the United States' relationship with Pakistan has developed in the last few months.